Managers, methodologists and teachers from a number of kindergartens from Gagauzia were informed on Thursday about the types and concept of teaching materials, developed through the program of simultaneous learning of Romanian and Gagauz languages, implemented by the National Association of European Trainers. However, they were able to exploit issues that need to be taken into account in this process, for optimum results. ANTEM experts have developed so far, the guide and curriculum, and for the next step comes the manual preparation for learning Romanian and Gagauz languages simultaneously. The concept of illustrative charts and a platform for downloading such materials is being finalized. Selected stories, poems and songs, similar in terms of content in both languages, will follow in 2016. Preschool representatives from Gagauz Autonomy appreciated that all these materials are helpful for learning both languages simultaneously and noted that educators, parents, and children are waiting for them. 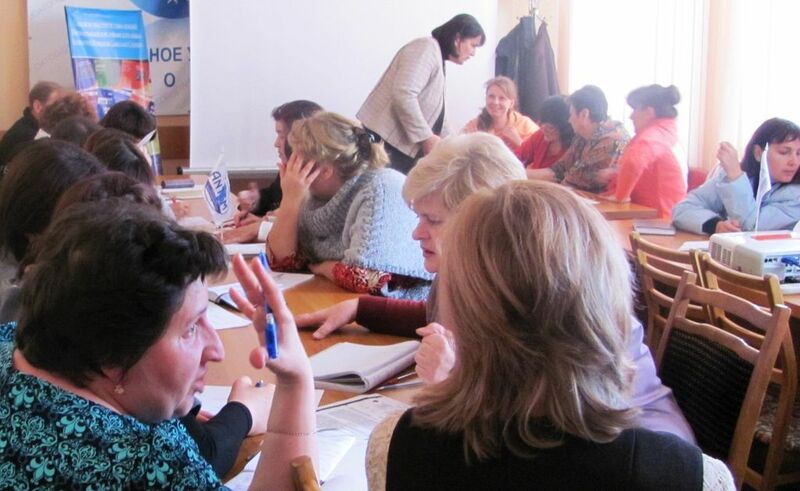 In context, employees of the education system in Gagauzia were familiarized with how should interact educators with parents and them between, as well as with their children, in order to achieve expected results. The teaching materials are developed through ANTEM program of learning Romanian and Gagauz languages simultaneously. It was launched in July this year and aims to acquire the two languages by children from five to seven years from 10 kindergartens in Comrat, Ceadâr-Lunga and Vulcanesti, together with their parents. Teaching Romanian and Gagauz languages simultaneously will start in September next year. Until then, all the teaching materials will be developed and training for professionals in the 10 kindergartens will be offered.